Thermoformable cross-linked closed cell polyethylene foam. Often used as such in various thicknesses for thermal or sound insulation or as a sealant. 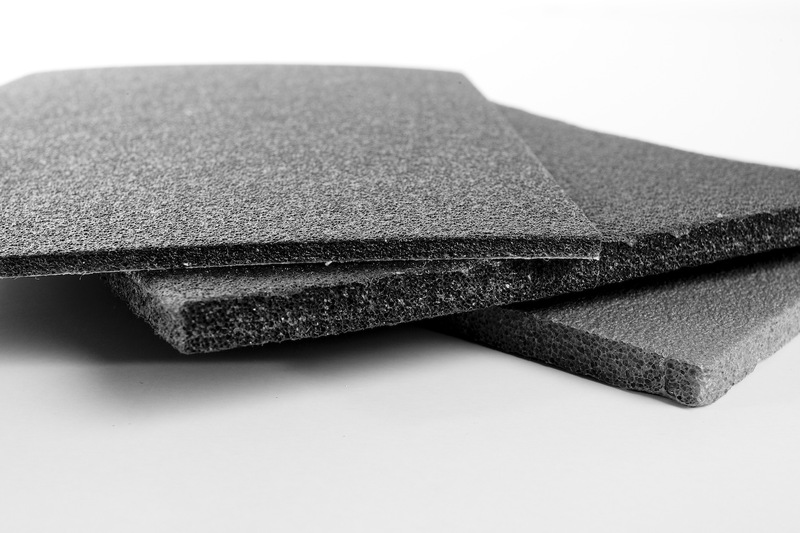 Due to its versatile properties and easy processing, polyethylene foam is often used in various structural combinations. Good wear resistance, absorbs nearly no water. Used by shoe, sports equipment, vehicle and boat manufacturers and in the construction industry as well as in various machines such as ventilation equipment.